North Greenwich station is on the Jubilee Line in Zones 2 and 3. And it’s right on our doorstep. Get here from Central London in 20 minutes. Or Stratford in 10 minutes. 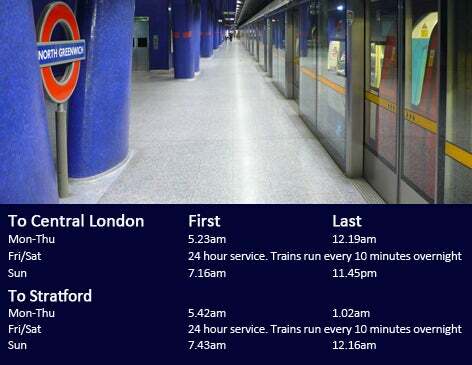 Plan your journey at TFL.